The BC Science 10 team would like to wish you all the best for your studies this school year. We are pleased to be of service and hope that your studies are enjoyable. Provincial Exam Study Guide Now Available! 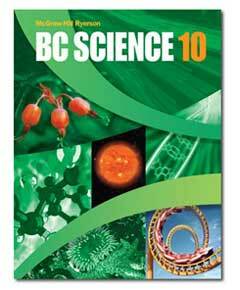 NELSON is pleased to provide users of the BC Science 10 program a Provincial Exam Study Guide. The convenient Study Guide is meant to help students prepare for the provincial examination. The Study Guide is available for download in the Teacher Corner.